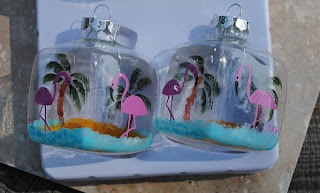 I've received so many requests for flamingos that I decided it was time to give them a try! Welcome to I Made It Thursday! 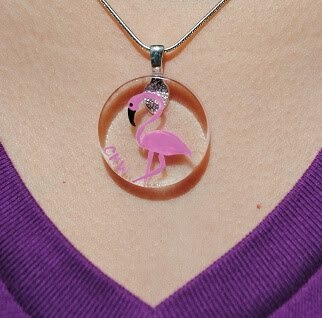 I started out with this 1" round glass pendant. It's a nice size for many designs. 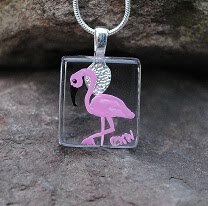 I really liked how this turned out with just the flamingo on the pendant. It's simple but cute. This Flamingo Glass Pendant is on sale at my Etsy shop! 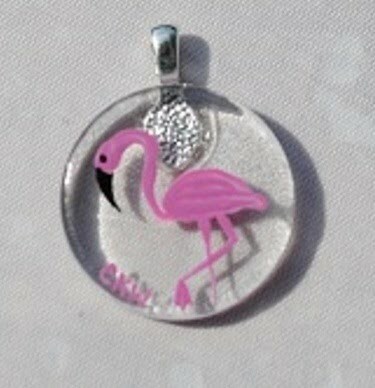 Each pendant will be a little different because they are painted individually. I don't have a template to trace from, just an idea in my head of what I want the finished product to look like. I also purchased this 7/8" x 1" pendant. I really like the flamingo on this shape as well. Now I'm turning my attention to putting in a background so you don't see the bail! I think these will be a big hit at my holiday craft shows. 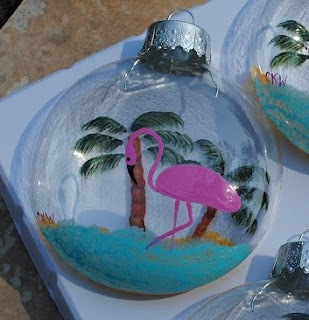 Thinking ahead to Christmas...I really enjoy the challenge of painting on both sides of these clear ornaments. It takes some do-overs when I'm first working on a new design, but that's the beauty of painting on glass. It's easy to remove the design and start again...at least before the paint dries! I'm really excited about this new shape I found last year. Thinking about the view from four sides at the same time was a challenge. 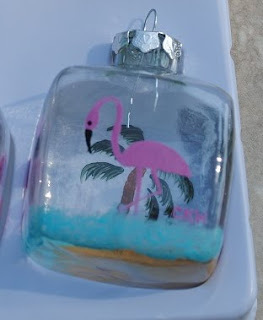 Simple designs work best when dealing with a design you can see through. Can't wait to get to work on my snowman designs for this year!